I picked this up because it was on a bunch of “best of” lists a few months ago. 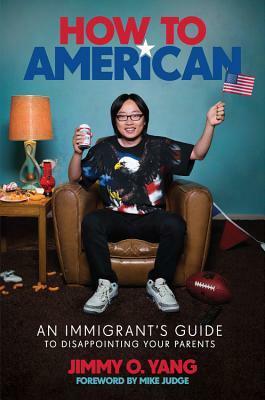 I probably would have gotten more out of it if I was more familiar with Yang’s work (I only made it through a few episodes of Silicon Valley and haven’t seen Crazy Rich Asians – yet) but still found his story interesting and he’s definitely a funny guy. Yang moved to the United States (L.A.) from Hong Kong when he was 13. He spoke no English, but learned it from watching BET RapCity. He discovered the parts of American culture he liked (rap music, comedy, strippers) while remaining true to his own culture. He majored in economics in college, but after listening to Mike Judge (Mike Judge!!) as commencement speaker at his graduation, Yang decided he needed to pursue his real dreams: “I figured it was better to disappoint my parents for a few years than to disappoint myself for the rest of my life”. I loved that his parents — who really wanted him to get a job in finance — ended up fully supporting his Hollywood dreams. And by that I mean, Yang’s father joined the same talent agency and has appeared in several films! He even played Yang’s father in Patriots Day. I also really enjoyed Yang’s general enthusiasm for everything in his life — he genuinely seems to be enjoying himself, even during tough times, and that’s always fun to read. Share the post "” I was an immigrant. And no matter how Americanized I become, no matter how much Jay-Z I listen to, I’ll always be an immigrant”"